It’s Josh. It’s Gonna Be Something Weird | One Strike Away...Twice! It took 40 years to go from lovable losers to Title contenders. Follow along to see if the Rangers can finally seal the deal. WIN THE ESSENTIAL GAMES OF THE TEXAS RANGERS DVD SET. Just a little over two months ago, Jon Daniels answered questions from fans at the annual Texas Rangers FanFest. 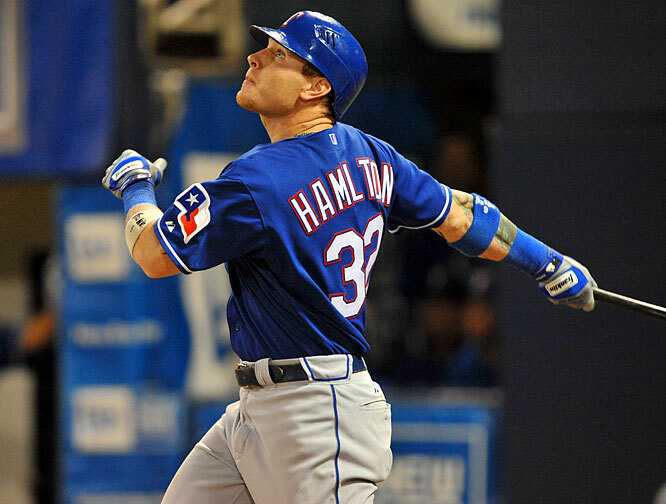 At the time, Josh Hamilton’s self-reported relapse had not been reported, but there were rumblings Hamilton might be on the trade block. One fan asked Daniels if there would be any interest in the Rangers making an offer. Daniels, who is known for never commenting on moves before they’re made, let out a laugh and answered in one word: No. This wasn’t a deflection or even a bluff. It was as categorical a “No” as ever came from Daniels’ mouth. He had not one bit of interest in re-acquiring the services of the Rangers best player in the 2010-2011 World Series teams. Yet here we are, just a few months later, holding a press conference and re-introducing Josh Hamilton to the DFW (and national) media. This is NOT a Jon Daniels move. This one came from up top, from ownership itself. Arte Moreno of the Angels and Bob Simpson talked on the phone and made a deal. They ran it through MLB and suddenly, Josh Hamilton is a Ranger again. It’s a very club-friendly situation. The Rangers are only on the hook for about $6-$7 million of Hamilton’s salary over the next three years. Moreno is chipping in about $60 million, more or less, over the same stretch. While it isn’t a Jon Daniels move, because the money is so little it IS a classic Daniels type of move: low risk, high reward. Daniels has loved getting players on the cheap. Sometimes it’s worked, like with Vlad Guerrero in 2010, Colby Lewis in 2010 and Neal Cotts in 2013. Other times it hasn’t, like with Brandon Webb, Roy Oswalt, Manny Ramirez and Carlos Pena. I don’t know what to make of the Hamilton situation. I know the Rangers are probably the best team equipped to handle his personal issues, but the Rangers are a baseball team, not a rehab facility. I know Hamilton isn’t the player he was in 2010-2011 and at 34, his best years are officially behind him. As much as the Metroplex loved him in the World Series years, they have bitter memories of the way he performed in his last weeks with the team on the field followed by some ill-advised comments he made after signing with the Angels. He’s also shown that he’s always taken his God-given talent for granted and hasn’t been able to make the adjustments needed to compensate for the deterioration of those skills. But I also know he has more home run potential at Globe Life Park than the Big A in Anaheim and, even with diminished skills, can probably man left field more capably than Jake Smolinski, Carlos Peguero and Ryan Rua, both offensively and defensively. If he doesn’t pan out, it hasn’t cost the Rangers much money at all. If he does, Arte Moreno’s paying him to play for his team’s rival, which could really blow up in his face. It’s still going to be at least three weeks or a month before Hamilton puts on a Rangers uniform again for an actual game. There’s a lot of time between now and then. The only thing for certain is this: People are going to be watching the Rangers again, if only to see how this new relationship works out. Since discovering the Washington Senators as a boy in 1971, I've followed this team throughout my life. When the Rangers made it to the World Series for the first time in 2010, it truly was a childhood dream come true. Vist My Google + Page! C70 At The Bat A Cardinals blog that plays pepper with blogs from every team every spring to get a gauge about how we feel about our teams. Lone Star Ball Kind of a clearing house from different sources on everything Rangers. Rangerfans.com Another Ranger fan blog. Love to know what the die-hards like me are thinking! Shutdown Inning Rangers analysis from multiple writers. They do a podcast too. The Angels Ace Hey, the Angels may be the Devils as far as the Rangers are concerned but they still have (mostly) nice fans. Isaac is one of them. 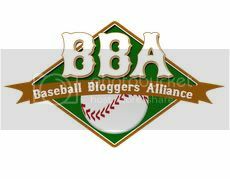 The Newberg Report Best site around for all things Rangers- majors and minors! The Texas Rangers Blog a blog chronicling your Texas Rangers’ wanderings in the baseball wilderness of futility and mediocrity. For two (2) years they found their way out. Maybe this year they’ll find their way out again.